1comment 2019-04-15 07:46:39 source:Securities Times Author:Hu Feijun Liu Wei Just do it next week! Steady! “There is a significant significant convening of the general meeting of shareholders”, “the rights of shareholders to nominate directors are arbitrarily deprived”, and “the annual dividends are not implemented”... 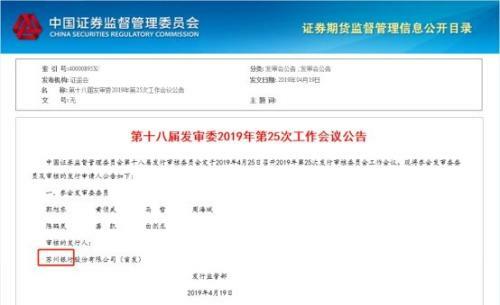 The series of contradictions accumulated by shareholders and management of Anhui Huoshan Rural Commercial Bank (referred to as “Huoshan Rural Commercial Bank”) Finally, it broke out at the 2019 Annual General Meeting held in late March, and the friction between the two sides continued. The first major shareholder of Huoshan Rural Commercial Bank recently sent a letter of inquiry to the management,Bank stockThe Eastern Conference was held without notice to all shareholders, and the convening procedure seriously violatedCompany lawAccording to the relevant regulations, the management arbitrarily cuts down, ignores the legitimate claims of shareholders, and deprives shareholders of the right to express opinions and participate in business operations on major issues. Regarding the problems reflected by shareholders, Peng Xianhai, chairman of Huoshan Rural Commercial Bank, responded that there is no problem in the procedure for holding the shareholders' meeting. At the same time, the high non-performing rate is a common problem encountered by small and medium-sized banks under the economic downturn. The non-performing rate is higher than the industry average because it is true. The situation of non-performing assets. Huoshan is located in the western part of Anhui Province and north of Dabie Mountain. Huoshan Rural Commercial Bank was formerly known as Huoshan Rural Cooperative Bank. In 2015, it was restructured into Anhui Huoshan Rural Commercial Bank with a registered capital of about 320 million yuan. In terms of equity, Huoshan Rural Commercial Bank has a large number of shareholders and its shareholding is relatively scattered. Different from other banks, as many as four of the top ten shareholders of Huoshan Rural Commercial Bank are agricultural commercial banks, namely Maanshan Rural Commercial Bank, Fuyang Jidong Rural Commercial Bank, Anhui Dingyuan Rural Commercial Bank and Anhui Jude Agricultural Commercial Bank. 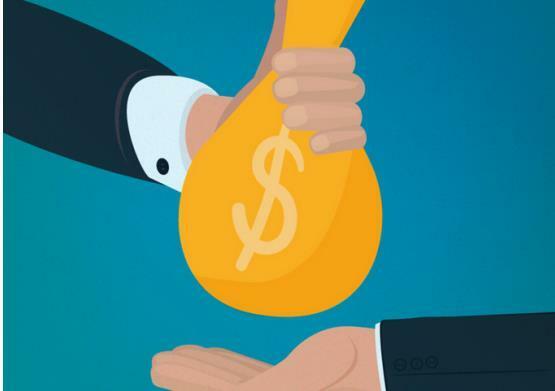 As for other shareholders, Shucheng County Great Wall Industry and Trade Co., Ltd. and Anhui Wenfeng Real Estate were tied for the largest shareholder, each holding 7.86%, and Anhui Anya Foreign Language Education Co., Ltd. holding 6.29%. On March 22, Huoshan Rural Commercial Bank held the 2019 Annual General Meeting of Shareholders to review 12 proposals including the work report of the Board of Directors and the Board of Supervisors, the work report of the 2018 management layer, and the election of new directors and supervisors. However, shortly after the shareholders' meeting, shareholders have repeatedly questioned, making the contradiction between the shareholders and the management of Huoshan Rural Commercial Bank open. After the chairman of the bank, Peng Xianhai, announced the relevant process of the 2019 Annual General Meeting of Shareholders, the entrusted lawyer of Wenfeng Real Estate, the largest shareholder, said: “As a shareholder, we believe that there is objection and major flaw in this general meeting of shareholders. Not compliant." "Four days before the meeting, I inadvertently learned from the ordinary staff that we would open a general meeting." Mr. Li, chairman of Wenfeng Real Estate, said that such an important annual shareholder meeting was actually notified by WeChat. Regularly sent to the grassroots employee mobile phone below, and informally sent a letter notice, and obviously less than 20 days. According to the company law and the company charter of Huoshan Rural Commercial Bank, “the board of directors shall notify the shareholders of the time, place and deliberation of the meeting 20 days before the meeting.” Mr. Li said that the notice of the March 22 general meeting of shareholders was obviously rushed and did not meet the legal procedures. "The shareholders' meeting was held on March 22, and we were sure to inform the shareholders according to the procedure. The announcement on the official website on March 7 was a few days late (to the shareholders meeting held on March 22, the time was 15 days), but as early as 3 Before the 7th of the month, the notice of the sticker was published in the bank lobby, and the time was about 21 days.” Peng Xianhai, chairman of Huoshan Rural Commercial Bank, told the Securities Times reporter. At the general meeting of shareholders, the issue of director candidates also became the focus of disputes between shareholders and management. "The general meeting of shareholders will elect a new director. I hope that I can get the details of the general meeting of shareholders and the new director candidates before the conference, and repeatedly urged the chairman of the rural commercial bank, Peng Xianhai, but he simply ignored it. I don't know if I am still a shareholder.” Mr. Li also said that Wenfeng Real Estate, as the shareholder with the highest shareholding ratio, proposed a director candidate last year. Huoshan Rural Commercial Bank also asked him to be a candidate.CreditDetailed information such as the report, but the final nomination disappeared in the nomination list of the shareholders' meeting without any written reasons. According to the company charter of Huoshan Rural Commercial Bank, the board of directors should disclose the details of director candidates to shareholders in accordance with laws and regulations and the Articles of Association before the general meeting of shareholders, to ensure that shareholders have sufficient understanding of the candidates when voting. “I wonder if the candidate for this director is a shareholder, or is the chairman alone?” Mr. Li said, “I think the board has stripped the shareholders’ nomination rights and deliberately did not provide the shareholders’ meeting in advance. For details, only the details of the conference and the new list of directors will be disclosed on the 22nd day. This is a clear time to reduce the shareholder's understanding of details and deprive shareholders of their right to know." "I am not trying to get rid of them maliciously." Peng Xianhai said, "As the chairman of the board, I definitely hope that better and more powerful shareholder representatives will enter the board of directors, which will be beneficial to the bank's strategic decision-making and long-term development." He said that Huoshan Rural Commercial Bank had several previous positions. The chairman of the board of directors cooperated with Wenfeng Real Estate in 2013 and 2014, and the two sides had differences on the rent of more than 1 million. Peng Xianhai also made a similar statement at the shareholders' meeting of the day: "Wenfeng Real Estate owes us 30 million loans, owes us more than 1 million rents, not honest." This move also aggravated the contradictions between the two sides. 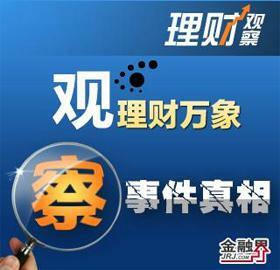 Wenfeng Real Estate said that there is no loan between the two parties, and the rental problem has been resolved. The company's participation in the restructuring of Huoshan Rural Commercial Bank in 2015 has been proved. "Peng Xianhai's statement has caused tremendous damage to Wenfeng's reputation and caused economic losses to the plaintiff." To this end, Wenfeng Real Estate has filed a lawsuit in the Huoshan County People's Court, demanding that Peng Xianhai personally apologize. Anhui Huoshan Rural Commercial Bank's major related party transactions were not approved according to regulations and fined 200,000.